The most commonly used framework for determining whether a digital asset is a security was first announced in the 1946 Supreme Court decision SEC v. W. J. Howey Co. Known as the “Howey Test,” the test finds there to be an “investment contract” (a security) where there is (i) an investment of money (ii) in a common enterprise (iii) with an expectation of profits to be derived solely from the efforts of promoters or third parties. TurnKey conceded the first two elements of the test (i.e., those factors argued in favour of the existence of a security) would be met. TurnKey argued, however, that the third factor was not met. Specifically, the primary motivation to purchase Tokens is consumptive (i.e., to efficiently obtain air charter services through prepayment on the platform), as consumers who purchase Tokens will have no right to share in any income generated by TurnKey in the sale of Tokens. In addition, the transfer restrictions outlined above make it economically impractical to trade Tokens in a secondary market. For example, if continuous, ongoing Token sales are offered at US$1 per Token, the market price of Tokens will not exceed US$1. Therefore, as TurnKey’s letter addresses, although the financial gain is theoretically possible, any such gain would not result from the promotional efforts of TurnKey, and therefore, the third element of the Howey Test is not met. 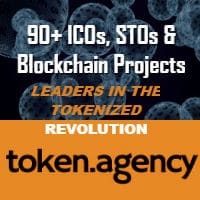 The Howey framework helps to explain the SEC’s decision to approve TurnKey’s initial coin offering (ICO) despite its consistent position that most ICOs are securities and subject to regulation. As TurnKey’s counsel outlined in numerous letters to the SEC staff, the Tokens are purchased for the specific purpose of obtaining air charter services. The economic substance of the transaction is thus fundamentally different from a conventional securities offering in which purchasers are betting on the success of the enterprise, rather than purchasing something to be exchanged for goods or services. By contrast, most ICOs we’ve seen in the past have involved purchasing tokens with the expectation that promoters will build a valuable digital enterprise, allowing investors to sell the tokens in the secondary market at a higher price. In such situations, the applicability of Howey is clear, as the digital assets are operating just like shares, albeit in digital form.